Introducing the Mega Thor Hammer Under World. 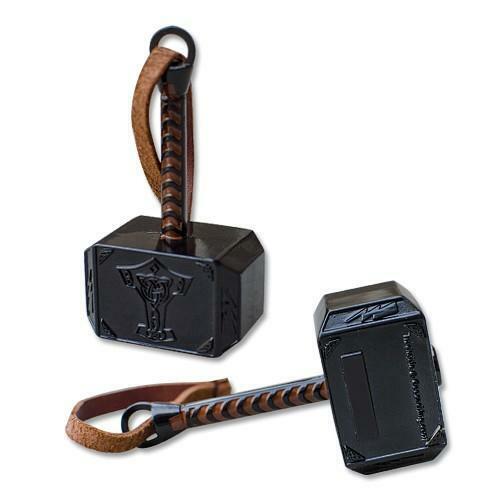 Mjölnir (literally, "that which smashes") is the hammer wielded by Thor the Norse god of thunder. Mjölnir is depicted in Norse mythology as one of the most fearsome weapons, capable of leveling mountains. Thor traveling through the Gods-World Thors Hammer has changed to a black nickel to command even more strength. *This is not a toy. Please use caution with the weight of this Mega Geocoin. *These are not meant to be mint quality coins due to the size and process which these are made.